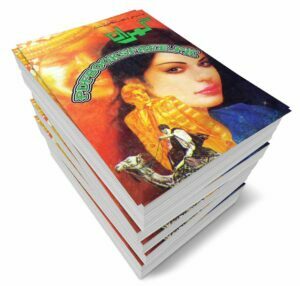 Gumrah Novel Complete 8 Volumes Authored by Jabbar Tauqeer. Gumrah is another most famous novel being published in Jassosi digest as serial novel. This novel contains an amazing story of such a young man who was till prisoner while being free. The story of a human being lost in the maze of the world. The attempt to cold down the fire of revenge, crimes became unbelievable chains of his feet. Unexplored destinations, unknown paths and unexpected accidents became her destiny. The story is gripping on full action, adventure, fiction, fantasy and suspense. Urdu novel Gumrah 8 Parts complete is now available here on Pakistan virtual library in high quality Pdf document for the study of our visitors. Check out the following links to download the complete novel in Pdf format and enjoy offline reading in your computer and android devices.